The Genetic Barcelona Project plans to inject jellyfish genes into trees to make them glow, creating a sustainable alternative to streetlights. You can barely believe that such primitive things as streetlights ever existed. Your stylish bespoke watch — which was grown in a lab from biodegradable calf’s cartilage cells — tells you it’s time for breakfast. Which you will eat at your de rigueur mousetrap table. Which attracts mice into a tube in one of its legs, kills them, and feeds them into a microbial fuel cell, generating more power for the house. The Paternoster device in the kitchen, which “upcycles” your waste plastic and uses it to grow fungus, has a rich crop of mushrooms. You fry them up on the methane bio-digester, which heats the hob with methane produced by bacteria digesting organic matter in the waste-disposal unit. To this you add some trout, which you net from the artfully illuminated aquarium in the living room and kill on the chopping board; and some spinach from a collection of plants that lives on the nitrate-rich fish waste in the aquarium. Finally, for an artistic touch, you garnish it with some chives. Which were grown using nutrients automatically extracted from your Filtering Squatting Toilet. If all this sounds like second-rate science fiction, think again. According to writer and curator William Myers, author of the book Biodesign, concerns for sustainability and increasing pressure on the world’s resources is leading to increasing collaboration between design and biology. “Biodesign means forging relationships with non-human life to improve the ecological performance of manufacturing and building,” he says. As Salvador Dalí once said, the future of architecture will be “soft and hairy”. Biodesign is already having an impact on the way we live. 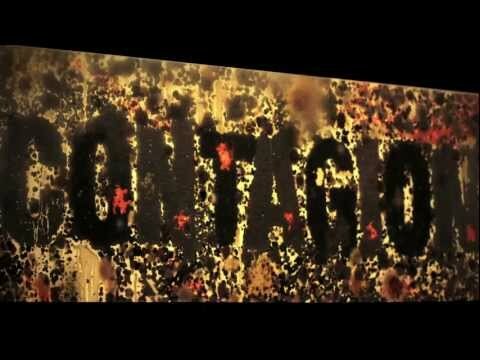 To promote the 2011 film Contagion, Curb Media, a London-based “sustainable media company”, created a billboard that spelled out the title of the film using living bacterial and fungal stains, which grew and spread over time. Members of the public were alternately “fascinated” and “disgusted”. Indeed, every one of the examples above — from the calf cartilage watch to the Filtering Squatting Toilet — are actual concepts produced by a range of bio-design teams around the world. The mousetrap table, for example, is part of a series of ”carnivorous domestic entertainment robots” conceived by a two-man team at Goldsmiths College in London. Their collection also includes devices that attract flies and other insects, digests them, and uses the energy produced to power clocks and household lamps. A team from Eindhoven in the Netherlands, which is behind the methane-powered hob, has a whole range of ideas for household products that are capable of filtering, processing, and recycling sewage, effluent, garbage and waste water. And researchers at Delft University of Technology have already developed BioConcrete, which is embedded with limestone-making organisms that allow the material to repair itself. Clearly, the possibilities are tantilizing. But the discipline has attracted its fair share of skepticism, with Wired magazine referring to biodesigners as “mad scientists”. The practitioners themselves, however, strongly reject this criticism. “Fantasy has nothing to do with it,” says Alberto Estévez, one of the leading architects on the Genetic Barcelona project (the team behind the glowing trees). “We are working towards an actual reality. Society needs to understand that biotech is the best — and perhaps the only — way to achieve sustainability for the whole planet. Myers agrees. “Biodesign is too expensive to implement at the moment. But this may change with the development of green taxes and incentives, which are still relatively new,” he says. “Another significant obstacle is the ‘ick’ factor. We are firmly conditioned to be afraid of biology. Ideas like infusing concrete with bacteria that allow the material to heal seem scary to many people. So the working day is done. You come home from work and prepare yourself a meal, using your microbial home. For pudding you have some ice cream with honey, which you take from the handsomely egg-shaped “urban beehive” device that is mounted on the wall. Then, before you settle down in front of the television, you release your homing pigeons into the city. For years, they have been fed only a special yoghurt containing bacteria that have harmlessly altered their metabolism. Now they excrete a kind of soap, which helps to clean streets and cars rather than fouling them. The sun is going down. The trees and plants are glowing. The end of a perfectly normal day in your biodesigned future.